Traumatic brain injuries, also known as TBIs, often happen when a person is in an accident involving a car, pedestrian, truck, slip and fall accident, or boat. 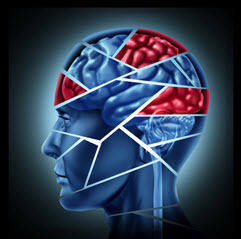 Traumatic brain injuries range from mild to very severe and the recovery time for a TBI depends on how severe the injury is and the circumstances that caused the injury. In very mild cases the recovery time could be just a few short weeks, but in more serious cases, the injury could last an entire lifetime. Sadly, traumatic brain injuries are not uncommon. Statics from the Centers for Disease Control and Prevention show that 30 percent of all injury-related deaths are caused by TBIs. The important thing to keep in mind is that regardless of the circumstances, all traumatic brain injuries are serious and require immediate medical care. TBIs most frequently happen when a strong force is applied to the exterior of a person’s head resulting in that person’s brain striking the back or front of the inside of their skull. When this happens, the internal wiring of their brain can be damaged, resulting in short or long-term impairments such as memory loss. TBIs can result in a variety of problems for those who suffer from them. Even the mildest symptoms could entitle you to compensation for your injuries and an experienced personal injury attorney can help you determine what your legal options are. Proving that a traumatic brain injury has occurred typically requires the help of a medical expert. That medical expert will testify that the victim has sustained a traumatic brain injury that was the result of another person’s negligence. If the expert connects your TBI to a car, boat, motorcycle, truck, or slip and fall accident, you may be entitled to monetary compensation for your injuries. Compensation can include payment of medical bills including future medical bills related to your injuries, loss of income, loss of ability to function, emotional distress, pain and suffering, and loss of companionship of a spouse. The Florida attorneys at Leifer Law Firm have years of experience helping their clients prove that they have suffered from a traumatic brain injury and they can help you too. We can help you obtain the medical experts that can testify on your behalf and ensure that you get the compensation that you are entitled to. Contact us today to schedule a free and confidential consultation and let us handle your case so you can focus on your recovery.